It's Friday! Yay! It's Meghan from Keeping Up with Mrs.Harris. 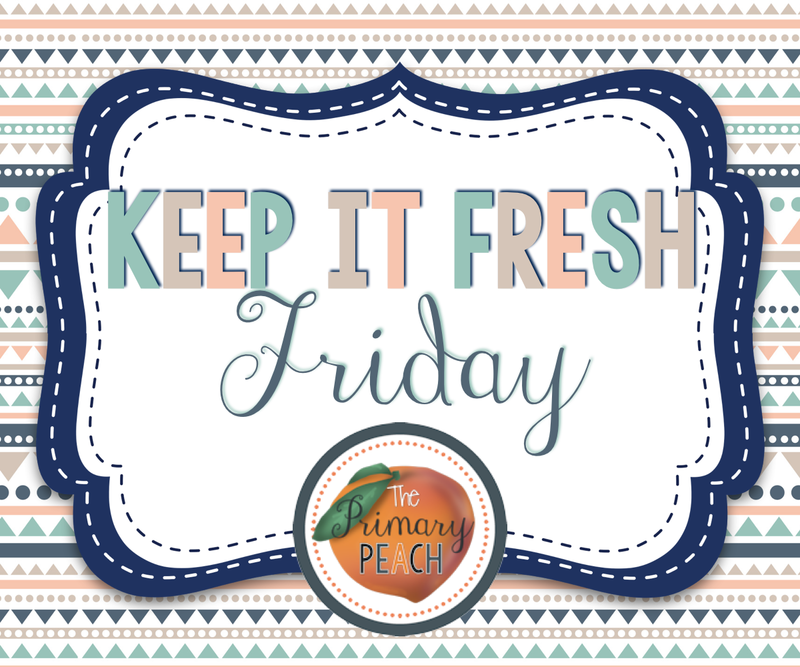 This was my first week back at school with kids so I am super excited to see Friday finally arrive! 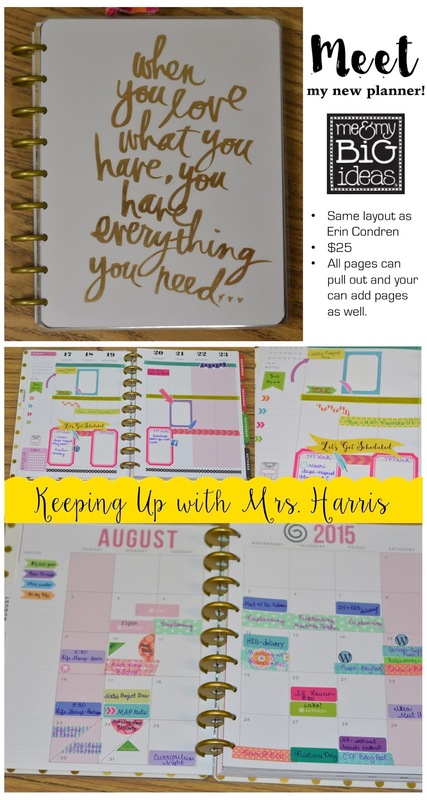 If you follow my blog, you know that I am a planner nut! Yep, if you call out "Crazy Planner Lady" I might actually turn around. It's that bad!!! Being a teacher, mom, and blogger means that I have to be super organized and I image that organization is at the top of your list as well. I am going to share with you a little about my planner and a few Etsy shops that have changed the way I plan! I am always in pursuit of the perfect planner! I started off with an Erin Condren last summer ($65), changed in January to a Filofax ($75) and now I am currently – this week using a Happy Planner ($25). I’ve tried several and will probably still try a few more. As you can see, I love to decorate and glam up my planner! Stickers are a huge part of that! A lot of the stickers I have learned to make myself, to find out how click here! There are still a ton of cute Etsy stores though that I am constantly ordering from. 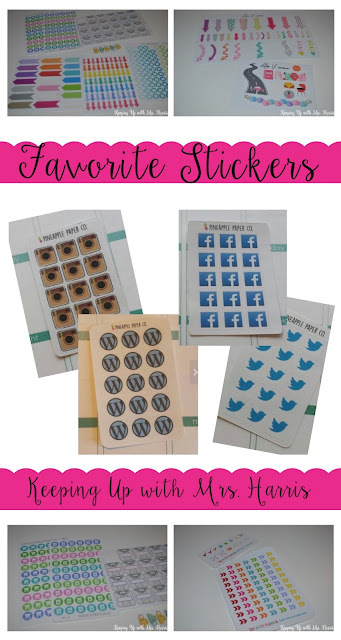 They are adorable and there are some things that are just better to spend money on than make yourself to stay organized Here are a few of my favs! There are MANY, MANY more shops, but these are my favorite. Plus, they treat returning customers fantastic with coupon codes or incentives for future orders. Are you a planner fashionista as well? Well then you should check out this post about Instagram accounts that you MUST follow. Students can check grammar online sentence free from this websites. Online help ensures that your paper is free from any error and that you get to submit your paper on time. You should always take advantage of correct my sentence tools or services whenever possible. You seem to be a creative person. Because the planner you designed are very well organized and look beautiful.